How to remove the radiation in the "Stalker"
Apocalypse mod for the game STALKER came to taste a considerable number of gamers, largely due to the extensive and interesting line of quests with the obvious complexity of the. One of the tasks requires to find the swamp doctor and causes some difficulties even to the experienced inhabitants of the Area. In reality, the NPC is much simpler and more obvious than it might seem at first glance. Storyline Supplement "Apocalypse" is partly built on the chronology of events books V. Smith and A. Kalugin. One of the heroes of fashion, the famous and mysterious Swamp Doctor, gunner's mate and a representative of the class of Phantoms Zone. In the study of anomalous territories the main character gets to General Voronin, the head of the group "Debt", which asks to find the Swamp Doctor and get it from him information about the group "Apocalypse" and how to combat it. 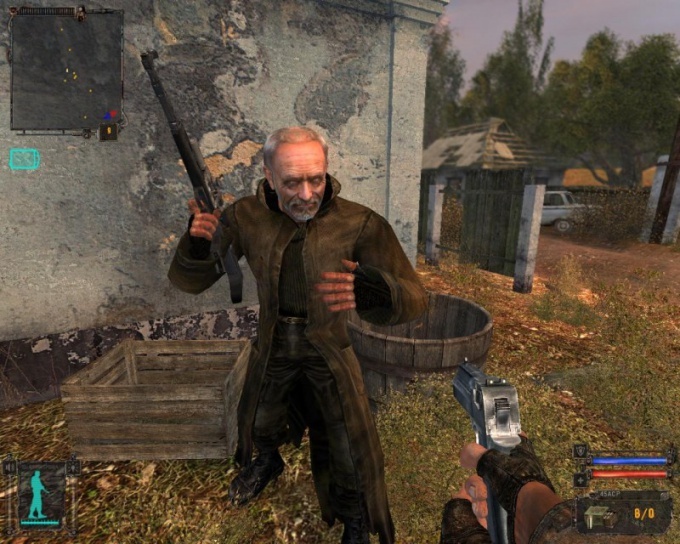 Looking for a Dr. in the "Agroprom"
Players familiar with the plot of the game S. T. A. L. K. E. R. Shadow of Chernobyl know that the Doctor was the assistant and patron of the shooter. Perhaps this is the only lead on the basis of which you can successfully find the doctor, although some managed to come to him purely by chance. Characteristically, information about the location of this NPC in the story is not given any. As you may recall from the events of the original game, the Doctor shared with the group, Arrow with information and equipment through caches located in the dungeons of Agroprom. The entrance to the location is via a manhole, which is located 400 metres to the Southeast from the base of the group "the Debt," according to "Shadow of Chernobyl", or complex of buildings in the South-West of the territory of Agroprom. Down in the dungeon the player enters a small hallway which leads into the hall with communications. Moving along the left wall from the entrance leads into a second hallway, similar to the first, but littered with all sorts of garbage. After going through it the player will be released in the small space of the manifold, and then into the main tunnel, which turns the arc at a slight angle. Almost at the end of the tunnel on the left wall in a ventilation shaft with protruding fan: this is the entrance to the hiding place an Arrow where the Swamp Doctor. He will talk about the need to join groups in the face of new danger. Almost everyone has difficulty getting to the location "Dungeons Sri Agroprom". When moving to a new location the game crashes with a critical error. It's a minor bug fashion designers, and to correct it is quite simple. You must open the directory with the game and continue on the path gamedata\textures\wpn. The last folder is a file "SUSAT-AMK-N. dds' that you want to rename in the "SUSAT-AMK-T. dds"
The efforts of the player in search of Dr. Marsh will be rewarded in the best way. The arrow in the cache has a cache, which is hidden in the floor, against a wall with a radiator. On finding the cache may take several minutes, but the result will justify all expectations.